Getting your neck waxed (front or back) can be beneficial to both men and women. A lot more men are now turning to neck waxing instead of just getting it trimmed every time they go in for a haircut. They also enjoy not having to deal with that annoying stubble that happens when you shave. Can you imagine how hard it would be to try to shave that area? The results of waxing are much more efficient due to lasting longer and less hair will grow back each time you get it waxed. For immediate neck waxing or any other body waxing in Austin click here. Women will get their neck waxed because they like a cleaner look when their hair is pulled up or due to having darker body hair. Sometimes this hair is hormonal or hereditary which results in stubborn course hairs which can be frustrating. Tweezing these hairs will take a long time and cause you more pain then necessary. Waxing is much faster and last so much longer. As long as the hair is 1/4th of an inch long we can help you. 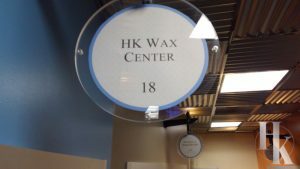 Even if you don’t use HK Wax Center – Austin Arbor, please make sure to go to a professional for any waxing service. There is a reason they are paid for that they do!